Willem Dafoe, Noomi Rapace, and Glenn Close wonder What Happened To Monday? 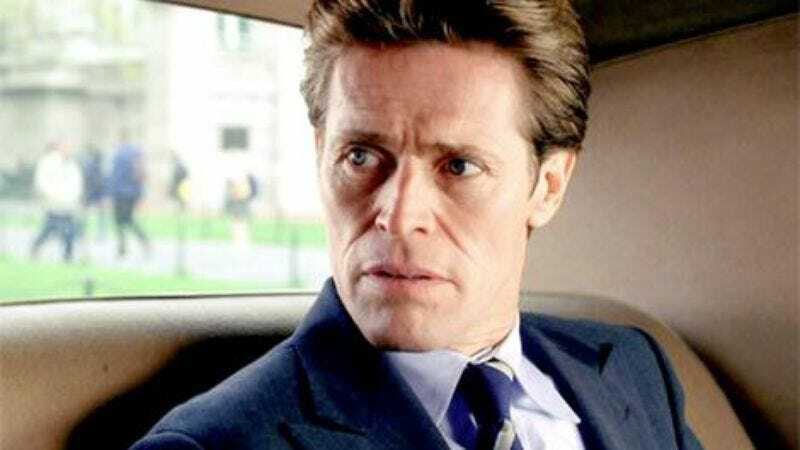 Variety reports that Willem Dafoe, Noomi Rapace, and Glenn Close are set to star in the upcoming science-fiction thriller What Happened To Monday? Set in the not-too-distant future when famine and overpopulation have prompted all governments to implement a one-child policy, the story follows seven identical twins who take turns posing as the same person in order to dodge the authorities. Let’s hope the title is literal, because this future world sounds like a real bummer and not having Mondays would do a lot to lift our spirits. The premise might have some juice, but how much you’ll look forward to this likely depends on your enjoyment of director Tommy Wirkola’s previous project, Hansel & Gretel: Witch Hunters, and co-writer Kerry Williamson’s work on Alex Cross. Another potential pitfall is executives getting nervous about the kooky title and changing it to something more generic, like Body Double or Body Slam or Body Double Slam. But, hey, how about that cast?